Well done to Radstock Museum for raising the funds to restore the iconic clock tower so that the clock face functions and the bells chime. We're pleased to have been able to contribute to the process, providing funding towards engineering that ensure the chimes only go off during sociable hours! 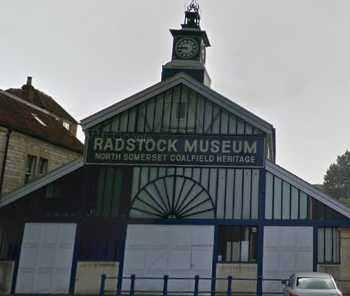 The project is needed because Radstock must regain pride in its heritage and the Market Hall clock and the strike is an integral part of this heritage. We have gone a long way to getting the clock and strike back into full function, the strike works again but because of complaints from a local resident it cannot be used. By providing a night silencing system we can have a strike that proudly chimes out the hours through the day but respects local residents during the silent hours. This entry was posted in People, Place. Bookmark the permalink.